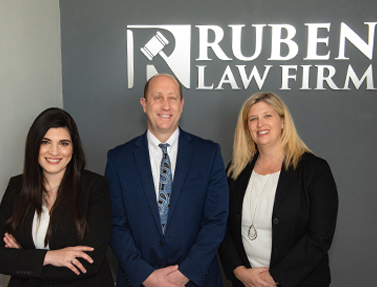 The Ruben Law Firm has been providing top quality, affordable legal services in the areas of Auto Accidents and Personal Injury, Family law, Chapter 7 and Chapter 13 bankruptcy and criminal defense such as DUI/DWI defense and other criminal defense matters since 1991. We know that choosing the right law firm can be very difficult. 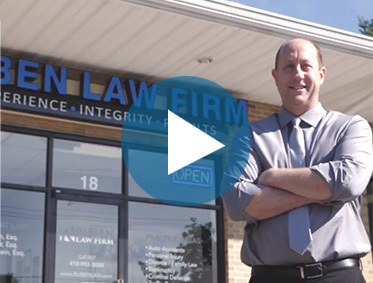 After assisting thousands of satisfied client’s throughout Maryland, we have come to realize that the single most important quality that people are looking for in a law firm is trust. Regardless of the type or complexity of your case, you must first trust your attorney as if you have known him or her for years. We strive to provide the type of honest and trustworthy legal services that we ourselves would want for our loved ones if we were in need of a law firm. TRUST that we will communicate with you on a regular basis and keep you up to date as to the status of your case. TRUST that we will work as hard as possible in every case, no matter how big or small, to get you the results that you deserve. TRUST that we will charge reasonable fees and bill you fairly throughout the entire process. TRUST that we will treat you with respect, dignity and courtesy at every stage of your case. TRUST that once you use our services, you will never turn to another law firm again. We serve clients throughout Maryland from our offices in Glen Burnie, Greenbelt, and Baltimore.